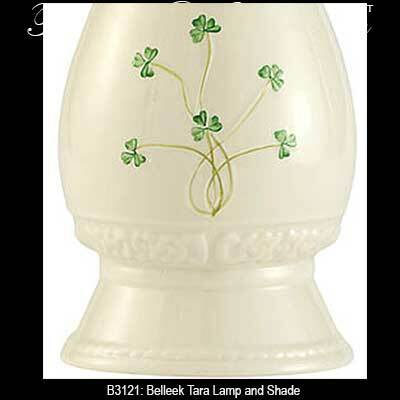 Belleek Tara lamp and shade with its hand painted shamrocks and embossed Celtic knot-work will enhance any room on your home. Sorry, this Belleek lamp is now sold out. 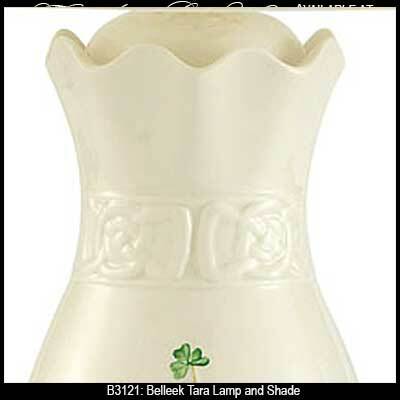 The Belleek Tara lamp was introduced in 2010. 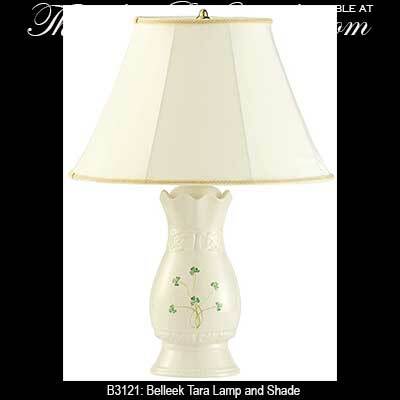 The fine china Tara lamp from Belleek features hand painted green shamrocks along with embossed Celtic knots and measures 5 1/2" wide x 11 1/2" tall or 20" wide x 22" tall with the included shade and brass hardware. 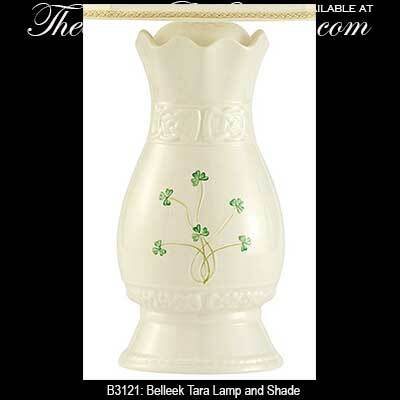 The Belleek lamp is hand crafted in Belleek, Ireland and is gift boxed with shamrock and Celtic knot history cards, compliments of The Irish Gift House.